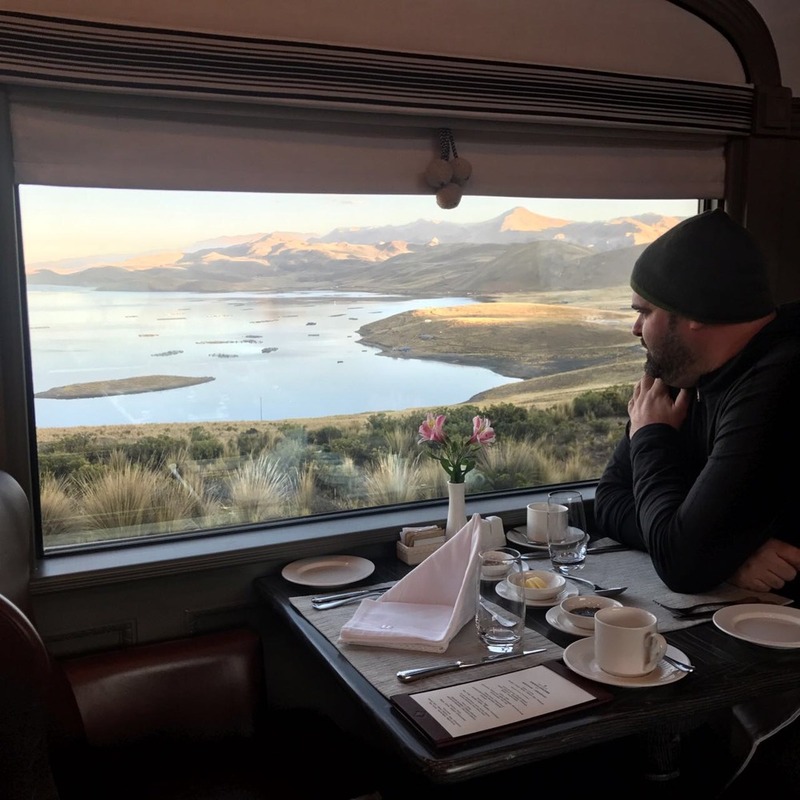 Last week I left the hustle and bustle of Lima and adventured south to begin a multi-day escape from Cusco to Lake Titicaca and Arequipa on South America’s first ever luxury sleeper train, the Belmond Andean Explorer. Over the next three days I would travel more than 450 miles (725km) across the Peruvian Andes on a train climbing to 14,270ft (4,350m) – and it’s safe to say I was pretty excited to experience this overnight luxury train Peru, which launched in May 2017. Interested in train travel? 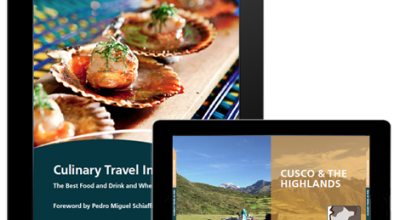 Check out our Luxury Peru by Rail itinerary. I arrived at 10:30am to the PeruRail station in Cusco after having spent a few days in the area acclimatizing to the altitude. Upon boarding the train I was immediately impressed by the level of luxury, style, and service consolidated into the 16 cars. I was greeted with the other passengers by the train’s guide and taken to the beautiful Piano Bar Car where we were briefed on the days schedule and then individually shown to our respective cabins. We then set off on a 3 day, 2 night journey- one of the 4 routes available on the Belmond Andean Explorer. The train has 4 different room layouts, two larger style double bed cabins, a twin bed cabin which is about half the size, and a very small bunk bed cabin which I would recommend only for children. I was staying in the Junior Double Bed Cabin, the second level of four in terms of room luxury. Both the room and the bathroom turned out to be much more spacious and comfortable than one would expect on a train – well heated for the cold nights and equipped with a comfortable bed and decent sized bathroom. Every room on the train is equipped with oxygen and a nurse is readily available 24/7 to help administer it if you happen to be strongly affected by the altitude. The train has no digital connection, giving passengers a unique opportunity to disconnect and fully take advantage of the journey’s views and excursions. There is no WiFi, no TV, and travelers with local cell providers only receive patchy coverage. 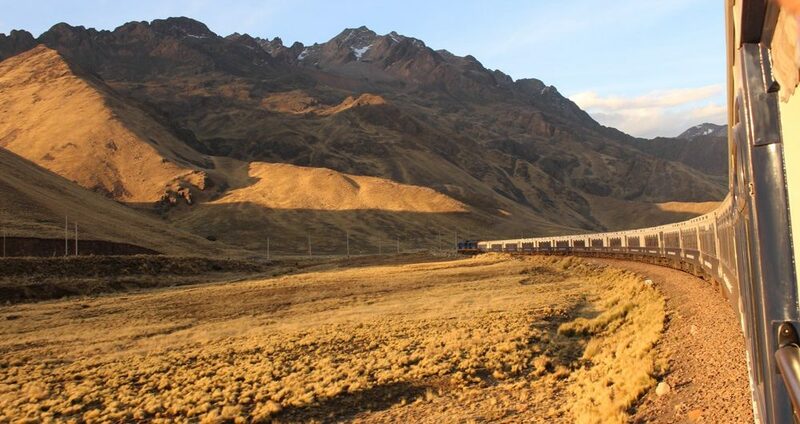 One of the many reasons to travel on this particular luxury train Peru, the Belmond Andean Explorer, is to traverse these remote, gorgeous mountains and valleys in luxurious manner that is otherwise impossible to achieve. A few of the destinations are unreachable without the train, and the landscapes out the window were, simply put, spectacular. The limited capacity of 48 passengers promises that your experience will be small and intimate- with plenty of opportunity to ask questions to the dedicated guide on board. 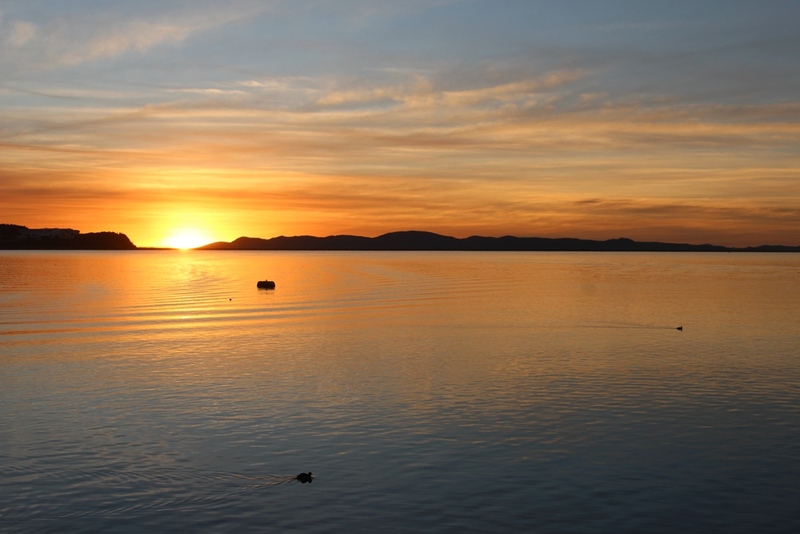 At each meal, we were given a schedule of the activities that would follow, including excursions ranging from short hikes through archaeological sites and sunrises in secluded valleys, to a full day visit to the islands of Lake Titicaca. On the top of my list of favorite excursions was a short stop on the first day at La Raya – the highest point that the train reaches. We disembarked and walked a few feet into an incredible panoramic view of the mountains. The staff from the train brought us some hot drinks so that we could enjoy the sunset and keep warm at altitude. In close second was the morning sunrise at Saracocha. Parked in the middle of the Peruvian Andes, we watched the sun come up over the mountains and lakes that surrounded us. It was majestic and felt very private as the train passengers and staff were the only people in sight. All the train excursions have been cleverly coordinated for when there are little to no other visitors present. 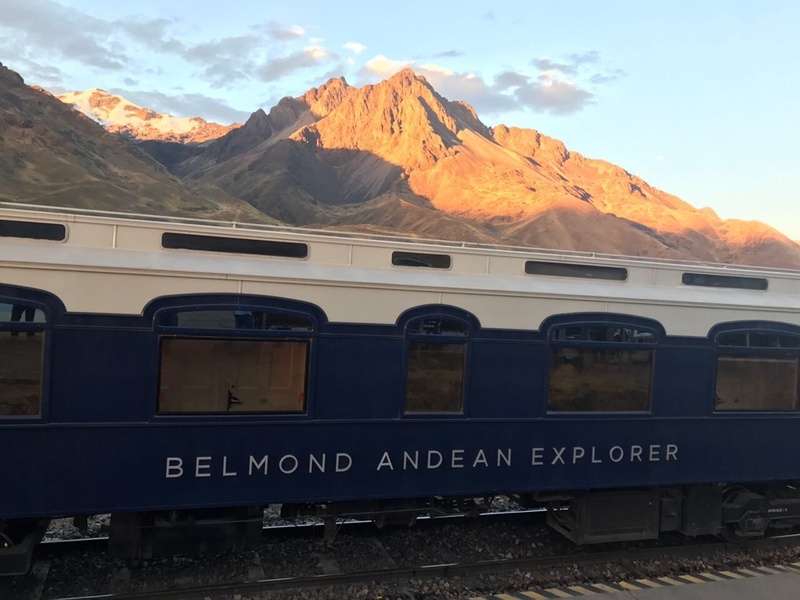 The level of service on the train was a high point, and I would venture to say the Belmond Andean Explorer has one of the most attentive and accommodating services available in Peru. The staff to passenger ratio is almost 1:1, and even though my room was attended to 3 times a day I never saw the cleaning or turn down staff. Full board is included with your ticket, and the dining service is no different than that of the train in general, incredibly high end. The food was outstanding, each meal even better than the last. Dishes were contemporary takes on traditional Andean foods, with menus featuring things like native fruit pancakes for breakfast, seared sea bass flavored with Andean mint at lunch, and homemade Alpaca meat tortellini for dinner. Dietary restrictions are graciously accommodated, and the vegetarians on board sang praises of the chef after each meal. The service was so personalized that when I mentioned my distaste for olives, the baker made me special sweet potato bread, when the starter at dinner included bread with olives. 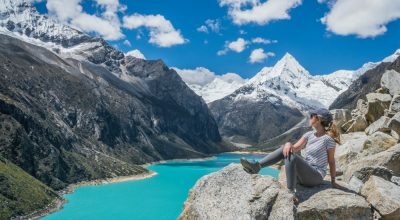 The experience aboard the Belmond Andean Explorer is crafted for travelers who want a very comfortable adventure through some of Southern Peru’s highlights. The level of physical activity is limited, which makes it a more suitable option less active travelers or guests looking to sit back and relax for a few days between treks. The train is not geared to small children or younger teenagers, so if you are traveling with children and interested in experiencing luxury Peru by rail, you would be better suited to visit Machu Picchu by train on the Hiram Bingham, which is a shorter journey and more manageable for kids. 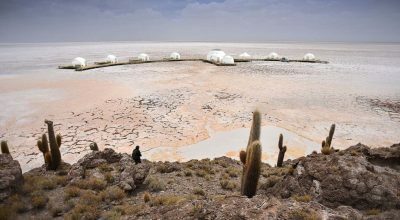 The Belmond Andean Explorer offers a total of 4 routes. My journey was 3 days and 2 nights from Cusco to Arequipa. The same can be done in reverse (Arequipa to Cusco). There are also 2 day, 1 night adventures from Cusco to Puno (and in reverse). Because it is difficult to sleep while the train is in motion, I strongly recommend that luxury seekers opt for the Peruvian Highlands route from Cusco to Arequipa for the most comfortable experience. An additional consideration when planning a luxury train Peru trip is where to disembark. I got off the train early at the stop Kilometer 93, about two hours before the train reached its final destination of Arequipa. This is a great option for travelers who are planning to visit the Colca Canyon, famous for its majestic condors, sweeping canyon and hot thermal springs, as you won’t miss any on board activities and it avoids back tracking from Arequipa. From Kilometer 93, it takes around 90 minutes via private transfer to reach the best hotels in Colca: Belmond Las Casitas and Colca Lodge. My experience aboard the Belmond Andean Explorer was memorable and I would recommend it to anyone who wants to travel from Cusco to Puno and Arequipa in style. For travelers who are looking for something a bit different, Aracari can help arrange the following luxury train journeys as a part of a tailormade trip to Peru. Taking you from Cusco to Puno in one day, the PeruRail Titicaca Train takes a similar route to the Belmond Andean Explorer but condenses the experience into 10 hours and 30 minutes. The Titicaca train is about 3 times bigger than the Andean Explorer creating a more casual and shared environment. Travel by train to the famous Incan citadel, Machu Picchu on a variety of luxury train Peru options. The most luxurious way to visit Machu Picchu by train is on board Peru Rail’s Hiram Bingham service, or privately chartering Inca Rail’s Presidential Class. The next most comfortable options with PeruRail are the Sacred Valley Train followed by Vistadome train, and with IncaRail the First Class train followed by Executive Class train. All train routes arrive at Aguas Calientes, the town at the foot of Machu Picchu. Covering the top destinations in Peru, the Luxury Peru by Rail Itinerary includes travel to Machu Picchu aboard the luxury Hiram Bingham, as well as a trip from Cusco to Puno and Arequipa aboard the Belmond Andean Explorer. 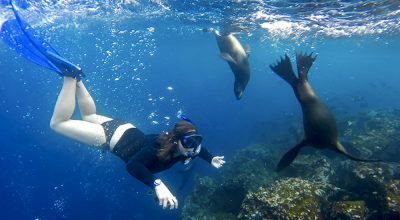 The itinerary can also be personalized to suit your interests and travel style.